It’s easy to get stuck in a style rut, especially when it comes to wearing the same colors over and over again. We’re coming fresh out of winter, where neturals are the norm and reaching for standard shades of navy, black, and beige just seem like easy options. 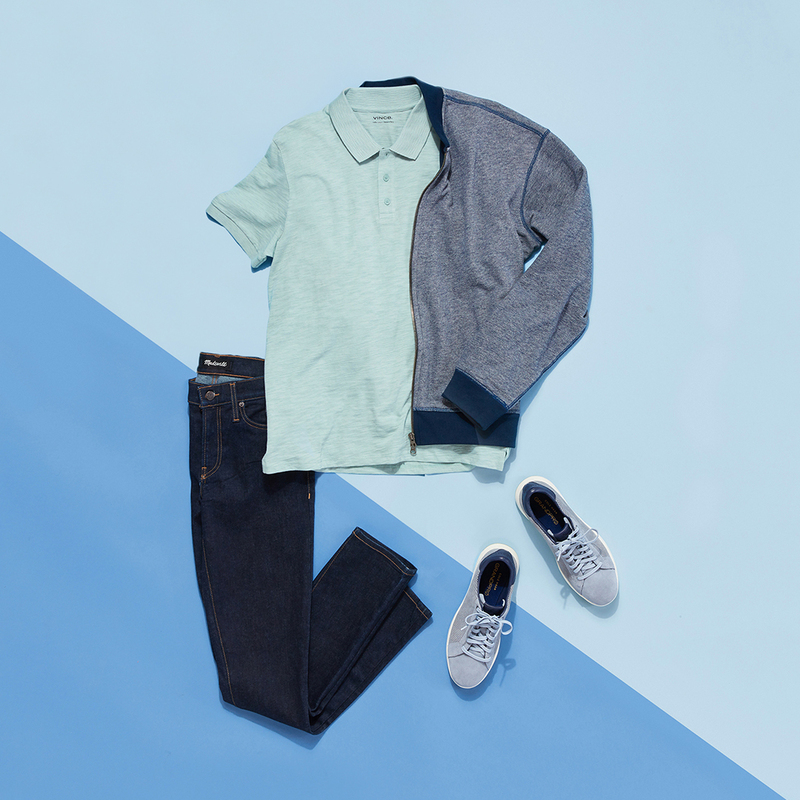 To help you embrace the freshness of spring, we’re showing you three easy ways to incorporate color into your closet and make a stronger impact with your looks. If the thought of pairing different colors together seems like too much of a daunting task, we suggest simply sticking to one. 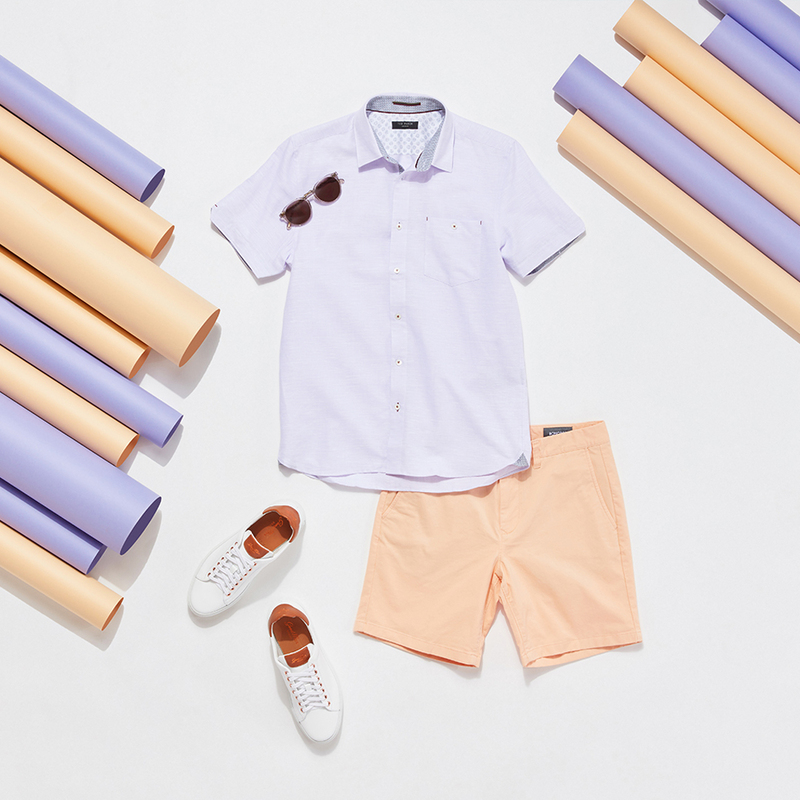 An outfit comprised of a variety of hues all from the same color family not only makes getting dressed so much easier, but it creates a striking outcome, too. Start by choosing your favorite color, then pick pieces in varying shades and contrasting textures. This helps give the outfit visual dimension and a modern effect. Pastels this time of year just feel right. And by doubling up on them, you’re able to create a combination that is both fresh and modern. Though orange and purple are on the same side of the color wheel, these shades of lilac and apricot are striking together without being overpowering. The subtle vibrancy works, especially when paired with crisp white sneakers and accessories. The beauty of wearing a shirt with color-blocked detailing is that it takes the guesswork out of what to pair it with. 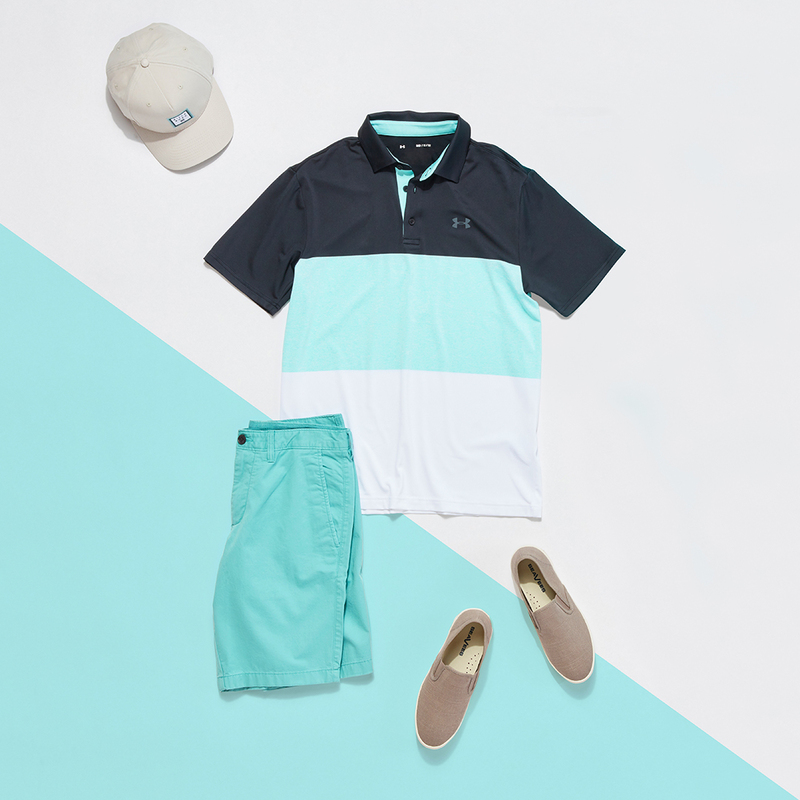 Simply choose one color from the top and highlight it with coordinating shorts. It really is as simple as that. To keep things from getting to matchy-matchy, go for contrasting shoes and accessories. For this look, we played it safe with neutrals—but this could easily work just as well with a brighter pop if you want something bolder. And there you have it, three easy ways to lighten and brighten your looks. 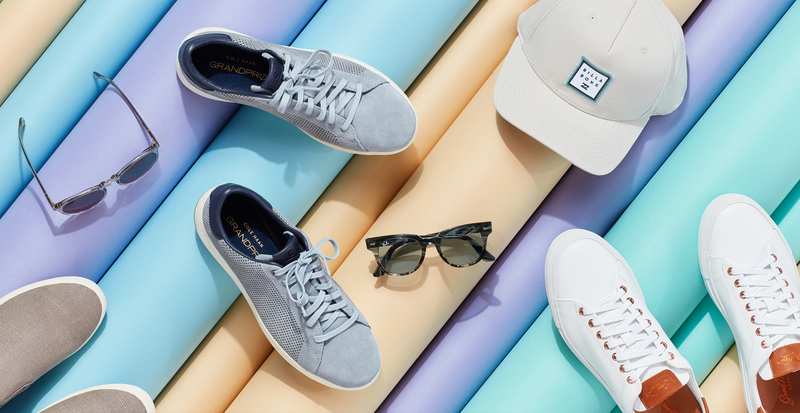 We can’t wait to see all the colorful ways you give your wardrobe an upgrade.